We've discussed Business Insider's Most Famous Book in Each State map. Next up: authors! 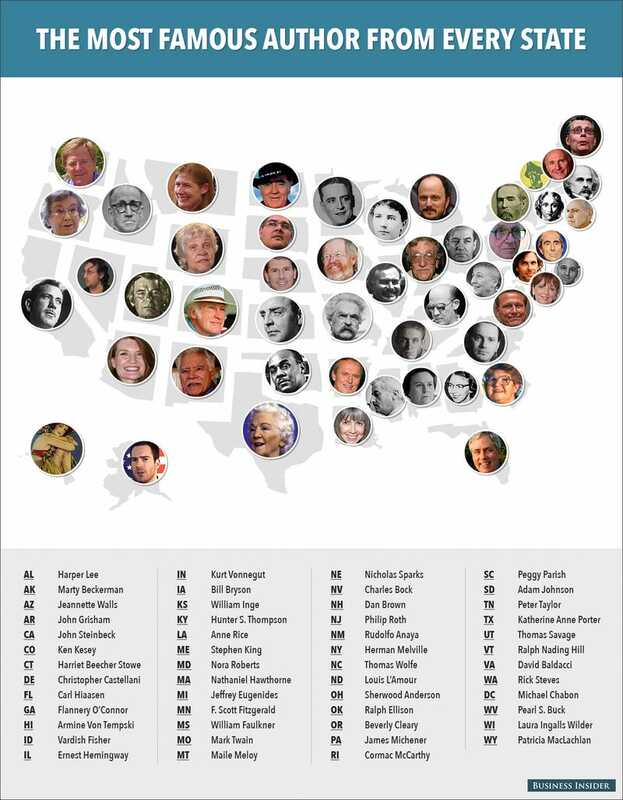 Do you agree with the writer assigned to your state? You can see a larger version or read more about each selection here. The Afternoon Map is a semi-regular feature in which we post maps and infographics. In the afternoon. Semi-regularly. Today's map was created by Business Insider's Melia Robinson and Melissa Stanger and designed by Mike Nudelman.